An update v2 to Pepsi Stumps Patch for A2 Studios Pepsi IPL 7 "Play Hard!" 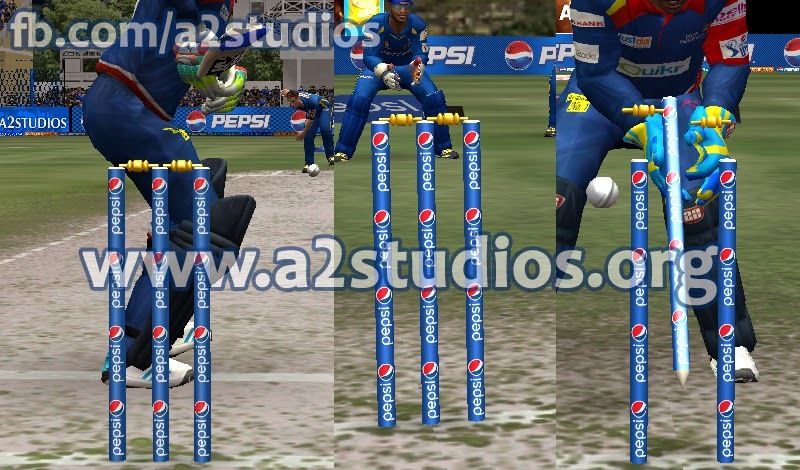 Patch for EA Sports Cricket 07 Released. The stumps are tweaked a bit to make them look realistic. This version is improved from the one released earlier with the Pitchad. You can simply download it below. After Downloading extract the files to you EA Sports Cricket 07. Enjoy the most realitic downloads and patches by a2studios.org! Dont forget to leave your comments regarding this patch!